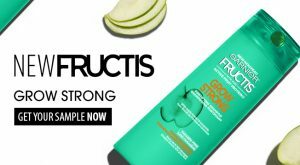 Fill out the form to get a free sample pack of Garnier Fructis Grow Strong! Quantities are limited. First ordered, first served.